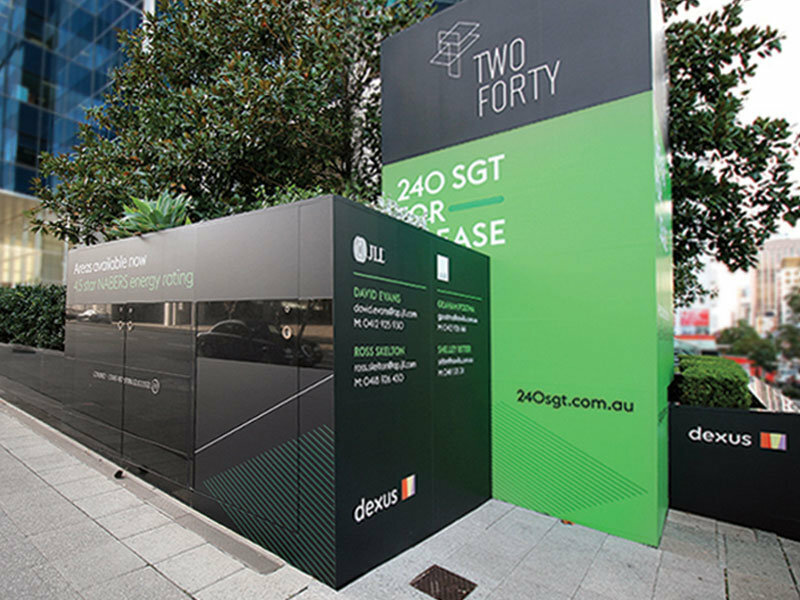 240 St Georges Terrace is a premium grade office tower located in the prestigious western-end of the Perth CBD at the intersection of St. Georges Terrace and Milligan Street. 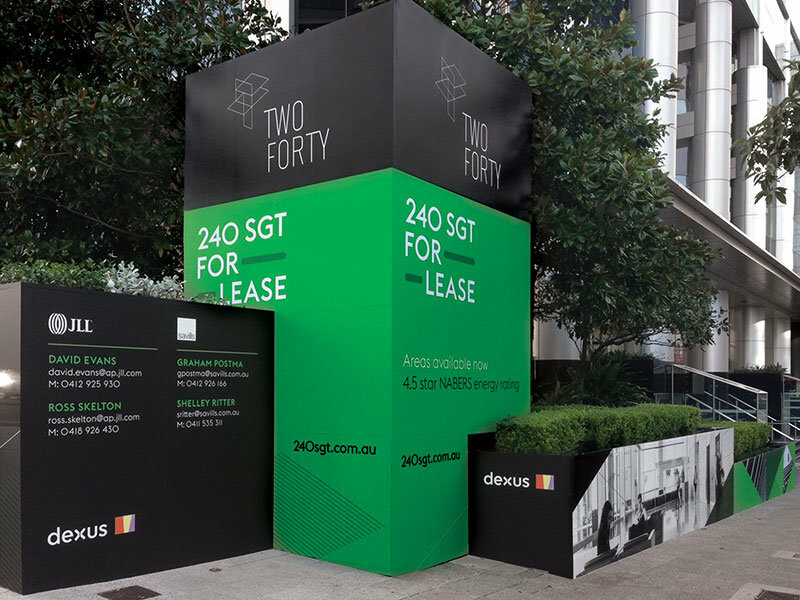 Zebra Creative engaged us to produce and install a unique signage solution for their property management client Dexus, to promote leasing opportunities in the building. The client brief was to utilise the building’s streetscape space to capture the high-traffic area audience. 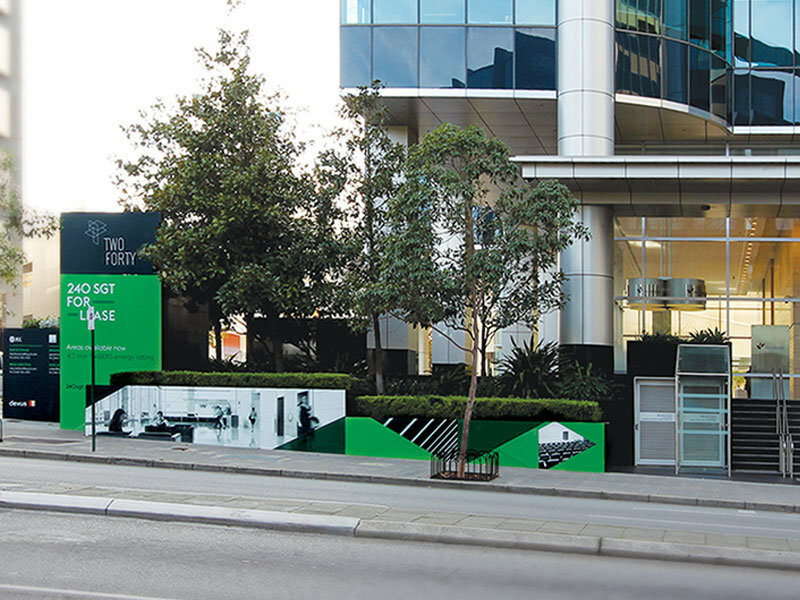 In the prime corner location, we transformed the building’s planterbox to create an impactful leasing sign. The planterbox structure was extended in height by 3 metres to extend viewing capability. We adhered self-adhesive vinyl to provide a long-term signage solution. The result is a visually impactful signage solution that has utilised an existing structure to capture the attention of pedestrian and vehicle traffic. Our clients are very pleased with the finished product.